Transparency; Just a campaign promise? What did Bill Elder say during his campaign about transparency? We decided to go to the horse’s mouth. 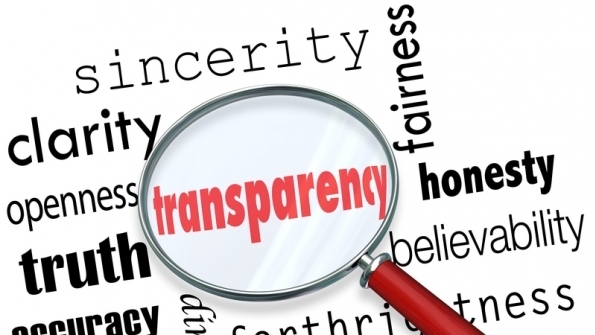 We found videos where Elder makes campaign promises to include many about transparency. Watch Bill Elder tell you his vision for how he wants to run the Sheriff’s Office if he is elected. Was he just saying these words to get elected or is he committed to transparency? Does Bill Elder support an independent audit of the El Paso County Sheriff’s Office finances; or was that just a campaign promise? Does Elder support spending your taxpayer dollars the way you want it spent; or was that just a campaign promise? Does Elder support FULL transparency; or was that just a campaign promise? Did Bill Elder say he would spend our Taxpayer dollars wisely? Watch for yourself. How many independent audits have been done since Elder was elected and where is this information posted so all the citizens of El Paso County can easily see it. Have you ever heard anything about any independent audits or public meetings? Where is all this transparency Bill Elder promised? How is he spending our 1A tax dollars? Where are the yearly reports that are to be made available to the public? We can not find where the Sheriff’s Office has ever announce a report or a public meeting concerning 1A spending. This was a requirement in the ballot wording. Read for yourself. Just hiding the report amongst other reports and making it available by CORA requests is not good enough. Bill Elder needs to announce the report and public meeting every year. Did Bill Elder ever tell people during the campaign that if elected he will promote or hire 18 of his campaign donors and give them up to 3.3 million taxpayer dollars over his 4 year term? Does he say he is going to hire his inexperienced campaign manager to be his chief of staff and give her 90K a year? Read the whole story. It appears Bill Elder only told voters what he wanted them to hear to get elected. Does Bill Elder still believe in Transparency? If yes, why is Elder making the media, who are just trying to get to the truth, submit multiple CORA requests for information and why is he denying so many of them? Does he have something to hide? Has Bill Elder ever volunteered any information without a CORA request? That’s not what he promised during his campaign. He makes it sound like anyone can come down to the office, ask any questions they want, and he will answer them. Watch the following video. Is “EVERYTHING” open to the public? What about the investigation into Lt. Huffor for sexual harassment (Read Story)? Did Bill Elder release the video? Did Bill Elder release the report? If Bill Elder wants to be completely transparent; as he put it “… WE WANT TO MAKE SURE THAT EVERYTHING WE DO IS CLEAR AND OPEN TO THE PUBLIC” why won’t he release the video and the report? Is Bill Elder covering up a sexual harassment committed by his close friend? We may never know. Is Elder providing a safe work environment for female employees? Where is this transparency he promised? Could it be that Bill Elder can’t be trusted? Let’s look and see if Bill Elder is honest. Watch the following video and look closely at Sheriff John Anderson’s face (seated on the left). Notice how he tilts his body and the look he gives shortly after Bill Elder announces he was “a Commander” in the Vice, Narcotics and Intelligence (VNI) unit and takes full credit for their success. Watch the video a few times. Why does Sheriff John Anderson make a funny face like he’s surprised at what he just heard? Could it be because Bill Elder never achieved the rank of Commander at the El Paso County Sheriff’s Office? In fact, Elder was a Lieutenant. Elder also fails to mention he was transferred to the jail because of allegations of policy violations and Illegal behavior. It’s our understanding when an investigation was initiated and Elder was asked to take a polygraph he quit. Could it be that Elder just happened to forgot he was only a Lieutenant? Do you find it reasonable a person could mistakenly or accidentally say they were at a HIGHER rank which they NEVER achieved? Was this nothing more than just bad memory on Elder’s part? Should the public trust a person who lies in a public forum and over states their accomplishments? What happens to most people when they’re caught lying on their resume? We found a video that shows what we believe is a fair comparison. How can anyone take Bill Elder serious? We have asked for an independent audit of the finances, something Bill Elder openly supported. Why is that a problem now? We want open and honest transparency, something Bill Elder campaigned on. Why is that a problem now? Why are things different now? Elder talked a good talk until he got elected; now he just accuses the whistle blowers of being disgruntled employees and his PIO calls us “Cowards”(Read Article). What’s wrong with getting to the truth? What is Bill Elder afraid of? Where’s the transparency now?